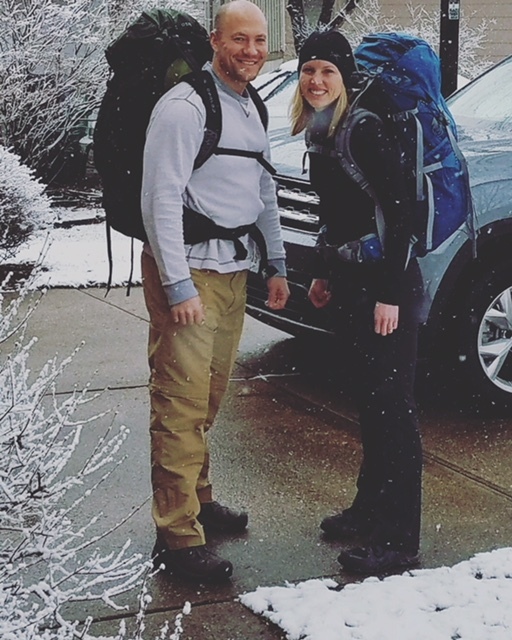 About a year ago, I told my husband about some really big dreams that I had in regards to thru-hiking some of the longest trails in the U.S. and around the world. As he always does when I tell him my BIG, crazy dreams, he asked me some of the tough questions like, Why? When? And most importantly How? My “Why” was an easy answer, I love the outdoors and I love being challenged by the outdoors in ways I didn’t know were possible. 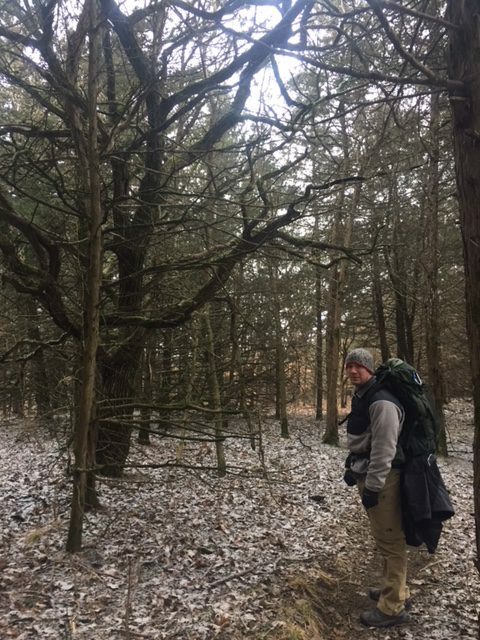 Being a challenge and adventure “junkie”, I am always searching for a new way to challenge myself, so thru-hiking just seemed like the next best goal. My when and how, were much harder to answer. Many of the major thru-hikes take months to complete all at once or even in segments. With 2 young children who need me on a daily basis and a full-time job that I can’t leave for an extended period, I had to really think about my answer. On top of that, I have NO experience backpacking or thru-hiking! So – I decided to set a long-term goal of hiking the PCT (Pacific Crest Trail) during my 40th year of life. That gives me 8 years to get some experience and figure out what the heck I am doing AND allow my children time to grow. When I gave my husband this answer, he nodded and said, “ok”! What came next were months of researching products, talking to experts and figuring out the most important gear to invest in. Next, was planning our first trip. In April of 2018, we will be celebrating our 10-year wedding anniversary (actually in July) by exploring the great state of Utah!!! We will stay in hotels for part of the trip and backpack/camp for the other part. 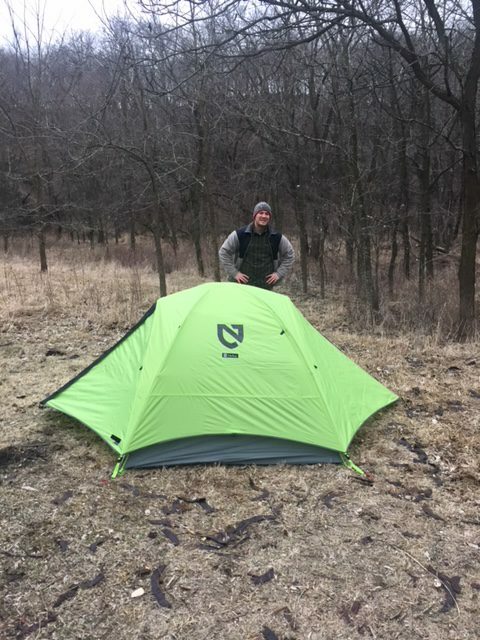 In an effort to test and practice with our gear, we set-out on a fun adventure in our great state of IOWA! Below is part 1 of 3 highlighting the park, gear and lessons learned. Situated in the Loess Hills, Preparation Canyon checked all the boxes. 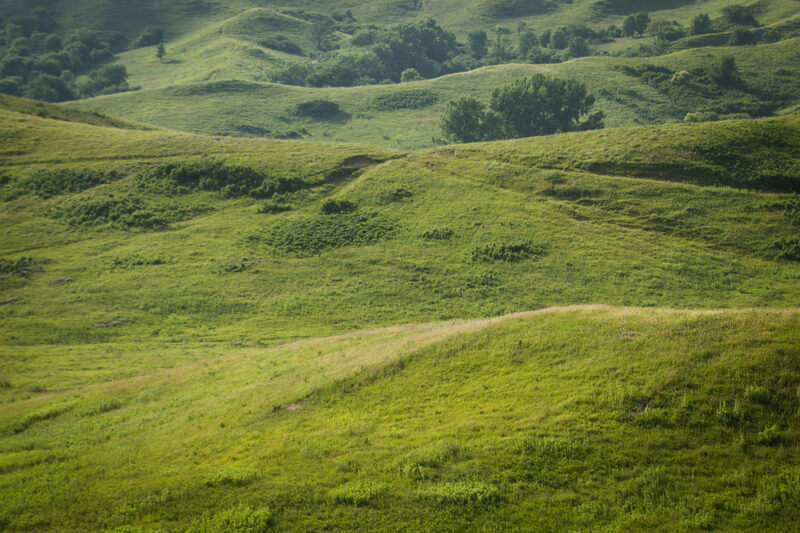 The scenery is filled with beautiful ridged hills unlike anything else in Iowa. Because we planned our trip in Iowa… in March, we really didn’t know what type of weather we would get. I was hoping for a beautiful Spring evening in the mid-forties. Well, we got our beautiful evening at a freezing 29º (at least it wasn’t raining/snowing right?!). Just a little colder than we planned, but we made it through and accomplished everything we had hoped – even if our toes felt like they might fall off at breakfast! Hike-in camping: Hike-in camping was exactly what we were looking for to practice hiking to our camp spot versus driving right to a spot. There were a variety of spots to choose from with the first spot just a short walk from the parking lot. As a bonus, these spots are situated between the hills so they did seem to provide some protection from the elements. Lots of trails! : Ahhh, so many trails that we didn’t have enough time to explore! The trail we chose was well marked, which was impressive for such a remote park. Check out the website for a full map of trails along with distances. Beautiful canyons?! : In Iowa? Yes! I know, I couldn’t believe it either. We were just driving along and BAM there were ridged hills and a canyon! Now it’s no Grand Canyon, but a great change in terrain compared to all of the flat areas of Central Iowa. We can’t wait to visit in a different season and experience even more of this beautiful place. Great family get-away: The whole family is sure to love the scenic drive, trails and camping. There are also shelters and tables to enjoy a nice picnic or gathering with friends and family. Remote area: No city noises here – but instead coyotes howling in the distance and owls hooting from the tree tops. It truly does provide a place to get in touch with nature. On a side note, there is only 1 bathroom in the park, so plan to be super primitive for bathroom time. Most importantly, “Leave it better than you found it” and be sure to research proper ways to dispose of human waste before you venture out.